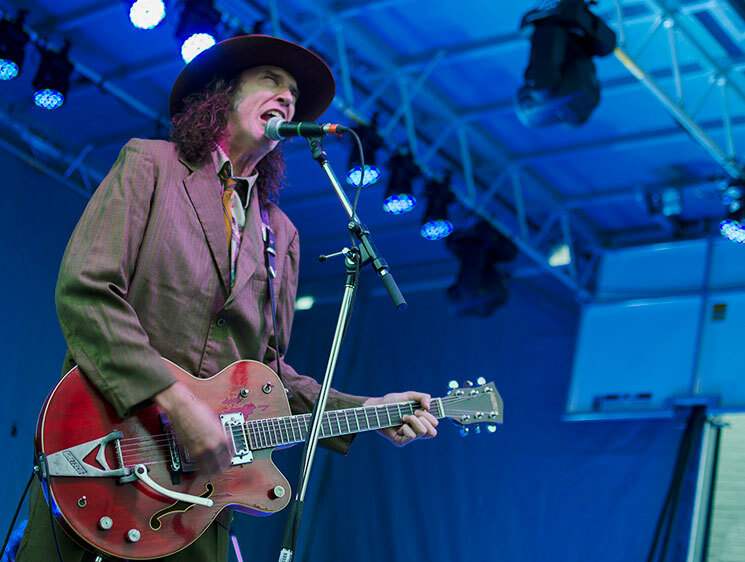 Deservingly introduced as "a band that needs no introduction," the Sadies wasted no time in delivering a diverse set of kicking alt-country to fans both old and new over the course of an hour. Having played together as a group for over 20 years, the chemistry between all four members was never in doubt. Led by brothers Dallas and Travis Good, a set loaded with both classic country covers and original tunes was successful in bringing a good helping of rural flavour to the downtown festival. Reaching back to 1964 to cover "Leave Me Alone" by the Canadian Squires (who would go on to become the Band) and the Louvin Brothers' "There's a Higher Power," the quartet also masterfully delivered some of their more recent psych rock-influenced material, highlighted by the steady swinging "Cut Corners" and "Tell Her What I Said." Both the Good brothers made their six-string work look easy despite it being quite the opposite, with Travis wowing the crowd in picking his way through a rollicking extended version of 2007's "Introduction."